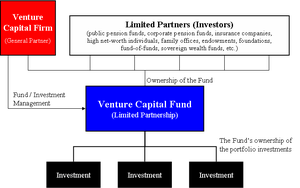 Infographic on ‘How StartUp Funding Works’. See the original and explanatory blog post here. Failure is the key to the success of a start-up. As this infographic by onlineMBA.com shows, entrepreneurs who have failed before, or who have radically altered their original business models, are more likely to succeed. This is in sync with research findings that show a learning curve effect in start-up success. Why do some cities have a greater tendency to give rise to technology startups? What do technology startups lead to more startups? What is this ‘startup ecosystem’ that policy planners aspire to create in their cities? The below infographic, by Udemy, provides a neat snapshot of the ecosystem which allows tech startups to thrive. While a little simplistic in nature, the infographic introduces the key players in ecosystem. 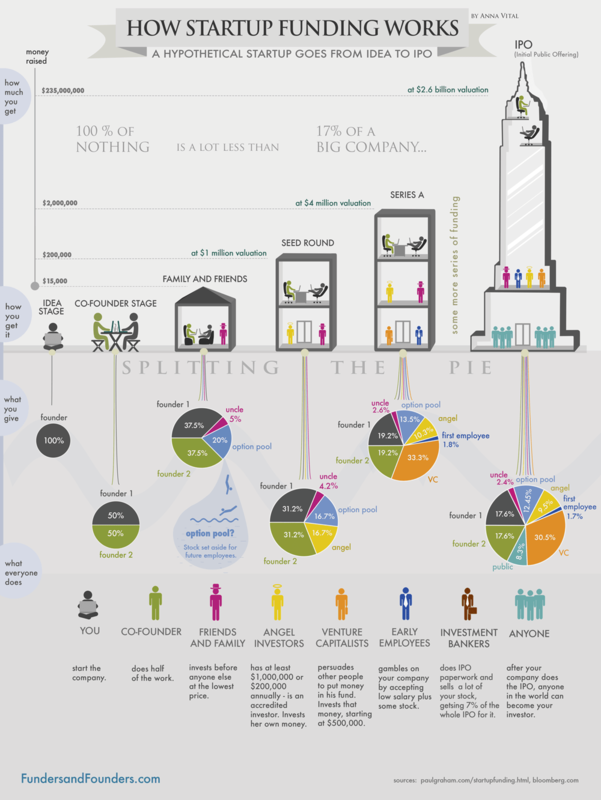 See the original at Startup Ecosystem: Predator vs. Prey [Infographic]. With entrepreneurship becoming cool in India, a couple of India-focused Angel funds have been announced in the past few days. The India Internet Group and the Harvard Business School Angels of India are aiming to invest in India-based, early stage tech start-ups. A new startup accelerator called the India Internet Group (IIG) is debuting today as fund to invest in India-focused, early stage internet and mobile startups. The size of IIG is $2.5 million and with an average investment size of $50,000 to $250,000. There are also several other Angel investors who are starting to have a good look at the emerging tech scene in India. Harvard alumni Raj Chinai and Ramesh Shah, in collaboration with Harvard University, have recently co-founded and launched Harvard Business School Angels of India (HBSAI), an India-centric angel investing organisation. Incidentally, HBSAI happens to be the country’s first international angel network. It was first started with a Northern California chapter in 2007 and is currently present in nearly half a dozen countries across the globe. While the group is sector-agnostic, it is likely to have a skew towards technology and technology-enabled start-ups, and will invest approximately $250-500K per deal. 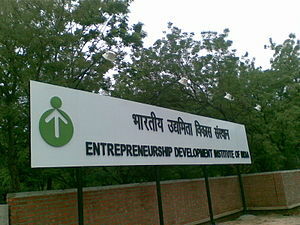 Read more at Harvard Business School Angels To Invest 0-500K In Start-ups « Biz Tech « Techcircle.in – India Internet, mobile, consumer tech, business tech, Entrepreneurs Debut $2.5M Accelerator To Invest In India-Focused Startups | TechCrunch, and Early Investing In India Is A Nightmare — Now This Guy Wants To Fix It. This post at GigaOM states that it is now becoming socially acceptable to be an entrepreneur in India. Critical to these changing mindsets is the much publicized success of international and domestic tech entrepreneurs such as Mark Zuckerberg (Facebook) and Sanjeev Bikhchandani (Naukri). While there are several hurdles in the path to entrepreneurship, initiatives such as Nuture Talent are contributing towards building a supportive ecosystem in India. But despite the wait and the hurdles, many are expecting that the opportunities in the web and mobile markets in India to take off dramatically several years down the road. Read more at It’s finally cool to be an entrepreneur in India — Tech News and Analysis.